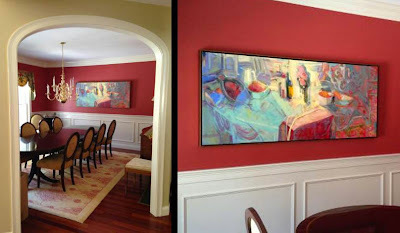 Daily paintings can be recreated as an original painting in any size. 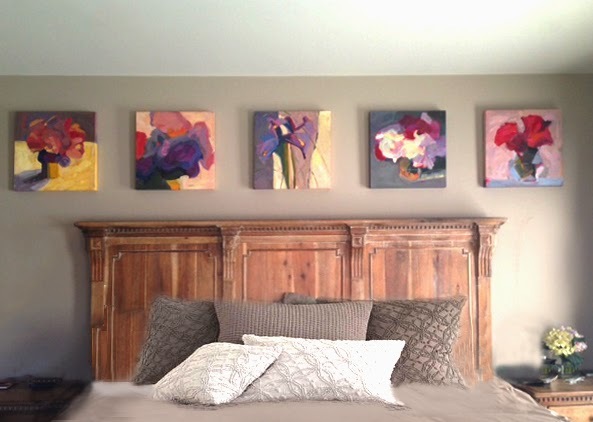 The above paintings are each 16" x 16" on 2" thick cradled maple panels for self hanging. The sides of each are painted so there's no need for framing. 10% scale - painted sketch for client approval.